Become a member today and help us fill the skies with waterfowl for future generations! Member benefits include a full year's subscription to DU Magazine, DU decals, membership card, access to exclusive web content, mobile apps and more! 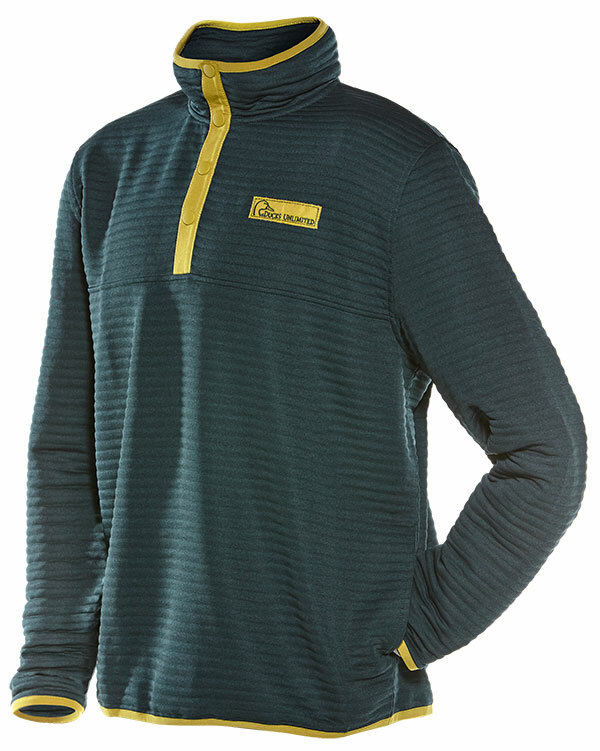 Join now and receive the DU Rugged Half Snap Pullover FREE as our gift to you! Become a Conservation Hero when you enroll as a monthly donor - and receive a free gift! A great way to have fun, meet new people and help drive DU’s conservation mission. More than 4,000 DU events are held yearly - find one in your area. Browse officially licensed Ducks Unlimited merchandise in the DU Store. Donors who make new - or upgrade Major Sponsor pledges - are taking a leadership stand to ensure our continent's wetland and waterfowl habitat for future generations. Learn how to leave a legacy for future generations, and meet your personal, financial and estate planning goals by making a lifetime or testamentary charitable gift. By joining DU, kids can participate in the conservation, restoration and management of wetlands and associated habitats for North America's waterfowl. Please support those companies who support DU!